Layfield makes custom gusseted bags that can be used for a wide-variety of applications including larger and bulkier items. Design your own gusseted bags and choose your own color, style and size. The gusseted bag can be sealed in the center or sealed on the side. A quad-seal style, also known as corner seal bag, is sealed on all four sides. Its reinforced structure helps hold the bag shape better. BioFlex™ products will safely return to the environment where it typically ends its life within the traditional waste streams. The energy from your package will be harnessed and converted into clean, renewable, sustainable energy within today's modern landfill environments. Present your cereal, protein, chocolate, snack or ice cream bars using high-def rotogravure printing. Our cold seal adhesive seals your package without affecting your final product that can be damaged with traditional heat seal applications. How can we help you? We will respond within two business days. 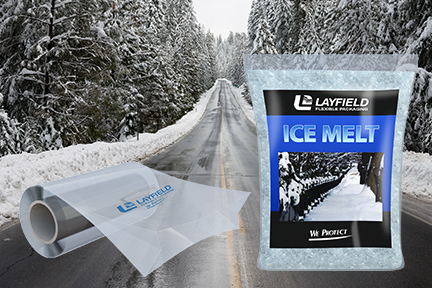 Layfield Flexible Packaging is an innovative company that manufactures custom packaging solutions for North American food, industrial, and medical companies. We supply all standard flexible packaging formats. We have a team of experienced professionals to make sure that the product you receive exceeds your expectations. With every order, we strive to exceed the industry standard with our printing, laminating, and bag making performance. Layfield was recognized for overall business performance and sustained growth with the prestigious Canada’s Best Managed Companies designation.